I got a glimpse of the future of driving this week and it made me feel a bit queasy. 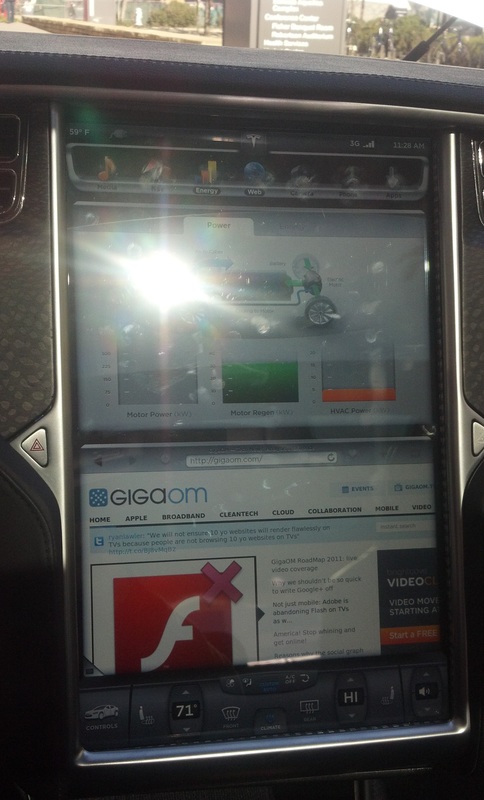 I sat in the new Tesla Motors electric car at the GigaOm Roadmap conference in San Francisco and it’s a beautiful vehicle, but it’s as much an entertainment system as it is a car. It is designed to be constantly connected to the cloud and has TWO iPad-sized screens one above the other to the right of the steering wheel. To call these screens distracting is the biggest understatement of all time. 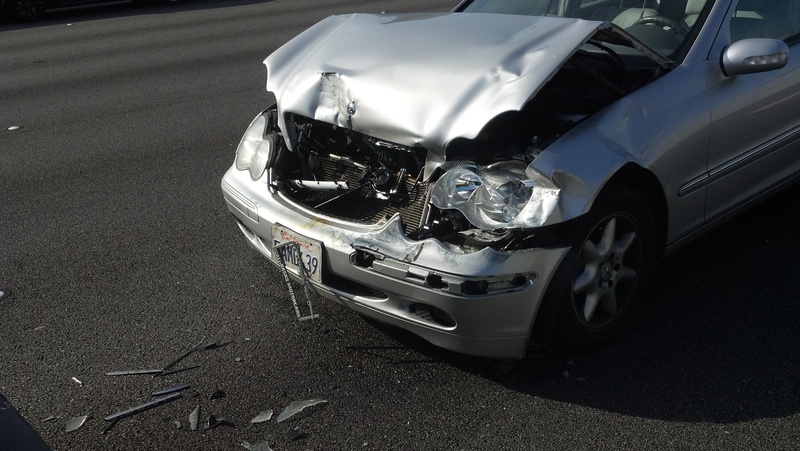 But my experience of this new car comes at an interesting moment, just one day after a Mercedes c230 plowed into the back of me on route 101 southbound. Traffic slowed quickly and the driver, who was texting, was distracted. Here’s what his car looked like. It’s totaled. Mine is at the shop but the back was smashed up pretty bad. Having too much online access and in-dash entertainment is something else to distract drivers and can only increase the risk of accidents, I think. Will motorists be allowed to drive while shopping on Amazon, reading an article or watching a video on YouTube? Many states have banned texting while driving and I can see more regulations that prevent drivers from fully utilizing these dashboard touch screen computers while in motion. As the bumps and bruises from the crash I was in yesterday start to fade, I hope I will remember that safety is the number one requirement in a car, not how well connected it might be to the Internet or my cloud services.